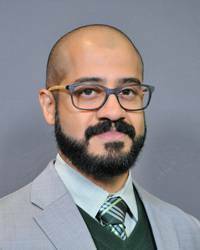 US Acute Care Solutions is pleased to announce that Dr. Irfan Hydari has been named Vice President serving the central portion of USACS Southwest. As a regional vice president, Hydari will provide medical and administrative leadership necessary to support the efforts of individual site medical directors in the region. In collaboration with the leadership and staff of USACS Southwest, he will oversee the quality and effectiveness of each medical director while providing the resources and direction needed to improve overall departmental performance at each location. Since 2012, Hydari has served as the emergency department medical director at Seton Medical Center Austin, where he also serves as a member of the Medical Executive Committee. As chair of the Seton Emergency Services Network Clinical Care Council, he has overseen the implementation of many evidence-based quality initiatives. Hydari joined USACS in 2007 and served for four years as the ED medical director at Cedar Park Regional Medical Center. During his tenure in Cedar Park, Hydari implemented innovative methods to improve customer service. He also served as the interim ED medical director for another USACS facility, Texas Health Presbyterian Hospital Flower Mound, when it opened in 2010. He is a graduate of USACS’ Leadership Academy, for which he has also served as a faculty member. Hydari is one of three regional vice presidents who will report to Cheryl Conner, president of USACS Southwest. “I am looking forward to working together to continue to deliver the very best care to our patients and service to our hospital partners,” Conner said. Hydari earned his bachelor’s degree from Trinity University and received his medical degree from the Texas Tech University Health Science Center. He completed his emergency medicine residency at the University of Texas Medical School at Houston. In addition, he earned an Advanced Professional Certificate in Health Services Management at the NYU Wagner Graduate School of Public Service. Outside the ED, Hydari serves as a board member for the HealthStart Foundation, a nonprofit organization focused on creating healthier communities through early science-based health education.